Drs. 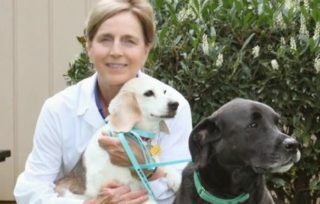 Daniel and Virginia Flynn established the Georgetown Veterinary Hospital shortly after graduating from the University of Pennsylvania’s School of Veterinary Medicine back in 1959. It has remained a family owned and operated practice since then... more than 50 years! We realize that people make the practice. 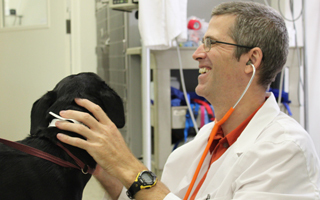 Our dedicated staff is composed of compassionate animal health professionals, the majority of whom have been Georgetown Veterinary Hospital team members for decades. Our vaccination program includes an annual physical examination in order to provide the best available protection for your pet. As medical care becomes increasingly preventive, a yearly check-up helps ensure early detection and treatment of potential problems before they become serious threats. 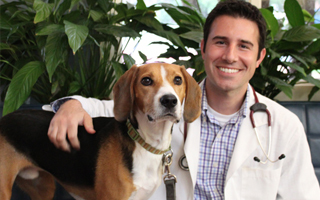 In the unfortunate case that your pet is experiencing a problem, our doctors will provide thorough analysis through a complete physical exam and other diagnostic testing. Our in –house laboratory and radiographic capabilities allow us to provide prompt and proper treatment. 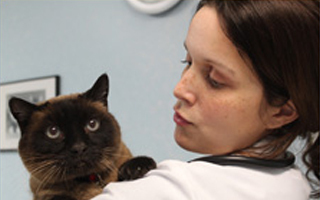 Additional diagnostic services include ultrasound and electrocardiogram (EKG). 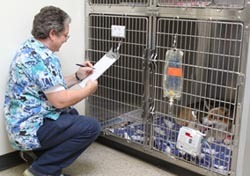 When necessary, university and veterinary laboratories provide specialized diagnostics. Our surgery suite and large treatment and recovery area enable our doctors to provide the utmost in quality and care for a variety of routine and elective procedures. 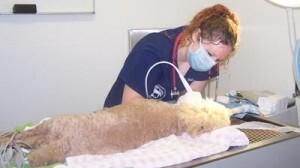 Each patient is closely monitored during and after surgery and when necessary is placed in an intensive care area. We offer your pet canines an indoor/outdoor climate controlled kennel with all the comforts of home. For the feline members of your family, our cat center offers a safe, quiet, dog-free haven. In addition bathing and limited grooming is provided. All emergencies are handled on a top priority basis. If an emergency situation arises after regular hours our answering machine will answer to provide you with the telephone numbers for the emergency centers. If scheduling an appointment is not something you can work into your daily schedule we allow for animals to be dropped off as early as 7:30 a.m. and picked up as late as 6:00 p.m. Monday Through Friday. Payment options: VISA, MasterCard, Discover, American Express, cash and personal checks. Please note that payment is due when services are rendered. Payment arrangements can be made on an individual basis when circumstances permit. We are a 4 doctor, full service, medical, surgical and boarding center. The hospital has been serving the Charlottesville area since 1959.